See here, here, and here for suggested readings in Biophysics. PubMed's list of all of Prof. Parthasarathy's papers is here; requires NCBI login. Brandon H Schlomann, Travis J Wiles, Elena S Wall, Karen Guillemin, Raghuveer Parthasarathy, "Bacterial cohesion predicts spatial distribution in the larval zebrafish intestine." Biophysical Journal 115: 1-7 (2018). [Link]. bioRxiv preprint (old version) [Link]. Catherine D. Robinson, Helena S. Klein, Kyleah D. Murphy, Raghuveer Parthasarathy, Karen Guillemin, Brendan J. M. Bohannan, "Experimental bacterial adaptation to the zebrafish gut reveals a primary role for immigration." 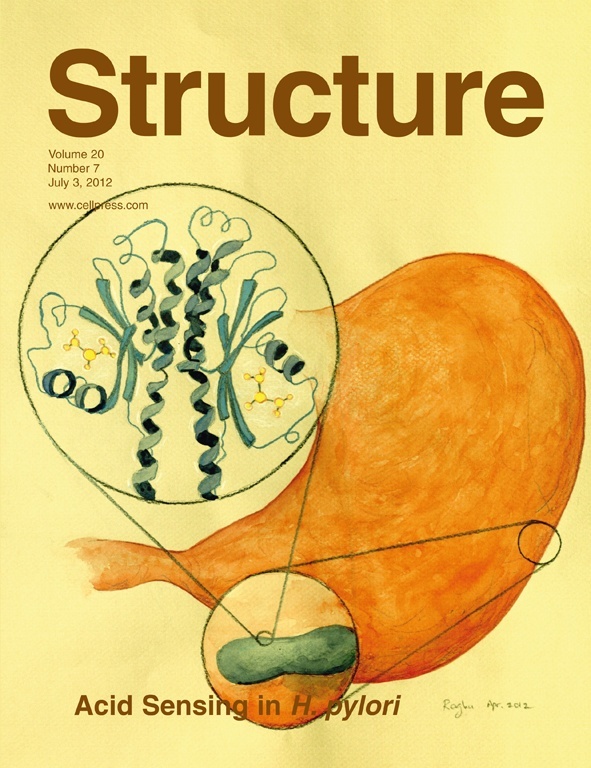 PLoS Biology 16: e2006893 (2018). [Link]. Travis J. Wiles, Elena S. Wall, Brandon H. Schlomann, Edouard A. Hay, Raghuveer Parthasarathy, and Karen Guillemin, "Modernized tools for streamlined genetic manipulation and comparative study of wild and diverse proteobacterial lineages." mBio 9: e01877-18 (2018). [Link]. bioRxiv preprint (old version) [Link]. E. A. Hay and R. Parthasarathy, "Performance of convolutional neural networks for identification of bacteria in 3D microscopy datasets." PLOS Computational Biology 14(12): e1006628 (2018) [Link]. [Review] Raghuveer Parthasarathy, "Monitoring microbial communities using light sheet fluorescence microscopy." Current Opinion in Microbiology 43:31-37 (2018). [Link] Preprint (peerJ): [Link]. Matthew Jemielita, Michael J Taormina, Adam R Burns, Jennifer S Hampton, Annah S Rolig, Karen Guillemin, Raghuveer Parthasarathy, "Spatial and temporal features of the growth of a bacterial species colonizing the zebrafish gut," mBio 5: e01751-14 (2014). [Link] [Blog post] Our work was selected as a featured image by mBio. Andrew F. Loftus, Vivian Hsieh, and Raghuveer Parthasarathy, "Modulation of membrane rigidity by the human vesicle trafficking proteins Sar1A and Sar1B," Biophys. Biochem. Res. Comm. 426: 585-589 (2012). Link. Abstract: I introduce an algorithm for sub-pixel localization of imaged objects based on an analytic, non-iterative calculation of the best-fit radial symmetry center. This approach yields tracking accuracies that are near theoretical limits, similar to Gaussian fitting, but with orders of magnitude faster execution time, lower sensitivity to nearby particles, and applicability to any radially symmetric intensity distribution. I demonstrate the method with several types of data, including super-resolution microscopy images. Also: There's an associated News and Views article (by Alex Small). [Retracted] Christopher W. Harland, Miranda J. Bradley, and Raghuveer Parthasarathy, "Phospholipid bilayers are viscoelastic," Proc. Natl. Acad. Sci. USA 107: 19146-19150 (2010). Link The conclusions of this paper are wrong -- a consequence of insufficiently precise analysis. Our retraction notice was published in August 2011; you can read the page proof here or a version with graphs (not allowed in the official retraction notice) here. We deeply regret any confusion or wasted effort caused by our flawed paper, and we are happy to provide additional information or resources on technical issues related to the paper's methods. A postscript: Spurred by these events, I've been thinking about whether there can exist a particle tracking method that is as accurate as direct fitting of Gaussian intensity profiles to particle images (the present state-of-the-art) but that is computationally much faster. I have come up with a new sort of tracking, based on maximizing radial symmetry, that works well. For a very brief description, see here. For a longer discussion and tests of the method, see my 2012 Nature Methods paper noted above, and my Particle Tracking page. -- RP. 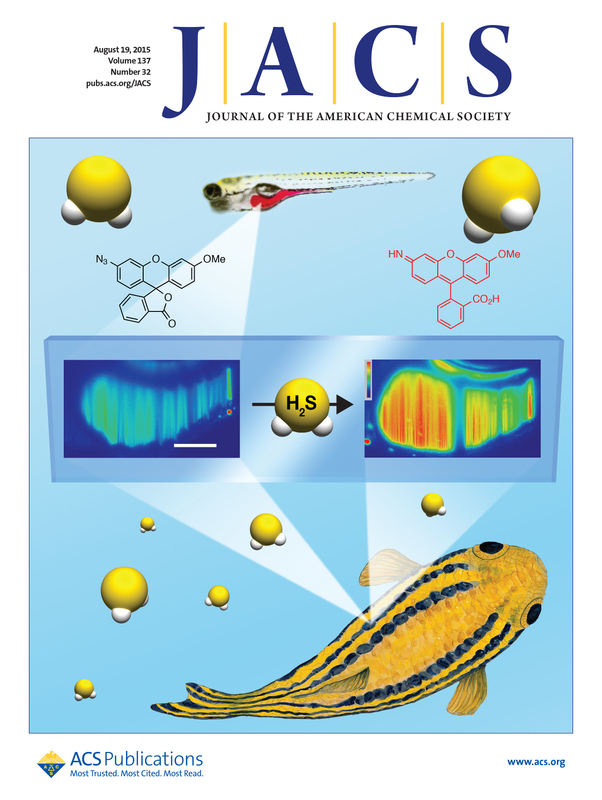 Kamil Godula, Marissa L. Umbel, David Rabuka, Zsofia Botyanszki, Carolyn R. Bertozzi, and Raghuveer Parthasarathy, "Control of the molecular orientation of membrane-anchored biomimetic glycopolymers," J. Am. Chem. Soc. 131: 10263-10268 (2009). [Link] See also the cover of Nature Chemical Biology, July 2010: Journal link, a bigger image with some text, and a better description. Raghuveer Parthasarathy, Xiao-Min Lin, Klara Elteto, T. F. Rosenbaum, and Heinrich M. Jaeger, "Percolating through Networks of Random Thresholds: Finite Temperature Electron Tunneling in Metal Nanocrystal Arrays," Phys. Rev. Lett. 92: 076801 (2004). Xiao-Min Lin, Raghuveer Parthasarathy, and Heinrich M. Jaeger, "Nanocrystal Arrays: Self-assembly and physical properties," in the Dekker Encoclyopedia of Nanoscience and Nanotechnology, ed. J.A. Schwarz, C.I. Contescu, K. Putyera (Dekker, 2004). Raghuveer Parthasarathy, Xiao-Min Lin, and Heinrich M. Jaeger, "Electronic transport in metal nanocrystal arrays: the effect of structural disorder on scaling behavior," Phys. Rev. Lett. 87: 186807 (2001). S. Anders, R. Parthasarathy, H. M. Jaeger, P. Guptasarma, D. G. Hinks, and R. van Veen, "Dynamics of the second peak in the magnetization of Bi2Sr2CaCu2O8 crystals," Phys. Rev. B 58: 6639-6644 (1998). D. H. Cobden, G. Pilling, R. Parthasarathy, P. L. McEuen, I. M. Castleton, E. H. Linfield, D. A. Ritchie, and G. A. C. Jones, "Current flow past an etched barrier: field emission from a two-dimensional electron gas," Europhys. Lett. 41: 327-332 (1998). © 2018 -- Raghuveer Parthasarathy, University of Oregon, Department of Physics and Materials Science Institute.